Not a week goes by (sometimes not even a day) without someone asking, “Where is your retreat center located?” We’re amused because we never quite know how to respond to the question. You see, embedded in that question is an unspoken assumption we playfully refer to as the “monk in the monastery mindset.” Just like the monk lives with other monks in the monastery, set apart and isolated from the rest of the world, so too the questioner expects to attend a retreat with other participants at an out of the way, secluded, retreat center, devoted to that purpose. And it’s a reasonable expectation, since that’s the way retreats have always been structured and, for the most part, it’s how retreats are still organized today. At Bali Soul Adventures, we do things a bit differently. In fact, we’ve pretty much turned the old retreat model on its head. The old retreat model is designed to work with groups. Our model is designed to work only with individuals and couples. The old model provides a “one size fits all” program. Our model is highly personalized to fit your unique needs. The old model requires all the participants to attend for a designated period. Our model allows you to choose the timeframe that works for you. The old model transmits information from one (the presenter) to many (the group). Our model provides you with one-on-one interactions with Bali’s master healers, spiritual guides and practitioners. The old model requires a centralized location for the classes and workshops. Our model allows you to work with healers and practitioners in the powerful energetics of the sacred spaces they have created for their work. 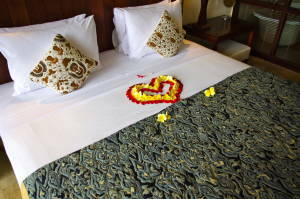 At Bali Soul Adventures, we know that everyone is different and everyone has their own unique preferences and expectations when it comes to choosing a place to stay. We work with a wide spectrum of lodging providers ranging from clean, basic and inexpensive to the 5-star lap of luxury – and everything in between. We can assist you in choosing accommodations that will make your heart sing and are the perfect match for you, your needs, and your budget. Since your lodging is at one place, and your sessions are at multiple other locations, you may be wondering, “How will I get around? Should I rent a car?” You probably realize by now that your needs, desires and convenience are a primary focus for us. So no, by all means do not rent a car! You’re on a retreat. You don’t need the stress of fighting traffic and reading maps and trying to get around in an unfamiliar country with often confusing or unclear directions. We have a much better idea – in fact, the perfect solution. While you’re on your retreat, Bali Soul Adventures will provide you with a Balinese driver. Your driver will meet you at your place of lodging at the beginning of your orientation on the first day of your retreat. Your driver has a copy of your itinerary and knows the location of all your sessions and how to get you there. He’ll speak enough English that you’ll understand each other reasonably well. In between sessions, your driver will be happy to drive you to lunch or shopping or even some local sight seeing. After your last session, your driver will return you to your lodgings. If you want his driving services for the evening or for touring and sight-seeing around Bali after your retreat is over, he can be available to you for very reasonable rates. So let’s get back to the original question: “Where is your retreat center located?” We do have a retreat center, but it’s not a rehabilitated, re-purposed farmhouse out in the woods. 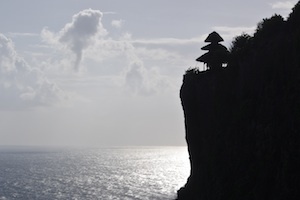 Our retreat center is the entire Island of Bali with everything it has to offer. We can’t wait to welcome you to this sacred place.